The Dreaming Arm: "Shine on you crazy diamond"
Pink Floyd’s forgotten founder has finally gone to meet the piper at the gates of dawn. 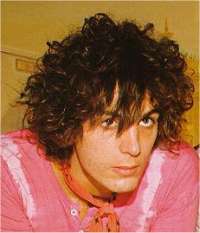 Although Syd Barrett’s full potential was never realised due to mental illness brought on by drug abuse and an inability to cope with the fame that had suddenly engulfed him, he paved the way for one of the most successful rock bands in history. He was only in the band for three years, but left behind a highly influential legacy. His surreal drug-inspired lyrics and psychedelic image followed by three decades of living as a recluse ensured legendary status for Barrett. The BBC’s decision to ban the single Arnold Layne because of its references to transvestism simply served to boost the Floyd’s early career and turn their reluctant frontman into a cult. Ironically the lyrics to his song Point me at the Sky , written in the late 1960s included the line “if you survive till 2005, I hope you're exceedingly thin”. 2005 was the year Pink Floyd re-formed for one night only to do the Live8 gig. Although Barrett was absent for the reunion the band played the melancholic Wish you were here, a lament for their erstwhile colleague who survived till 2006. "Ironically the lyrics to his song Point me at the Sky included the line “if you survive till 2005, I hope you're exceedingly thin”. 2005 was the year Pink Floyd re-formed for one night only to do the Live8 gig"
Nice point, I'd forgotten all about that. I enjoyed watching this clip. It has a short interview at the end with Syd Barrett and Roger Waters. Those were the days, Caroline! He was certainly a strange character and talented - although I think a lot of his lyrics were not meant to be understood by anyone. Any ideas what an Eskimo chain is anyone??? That was from Dark Globe by the way. I do prefer songwriters who write lyrics with some meaning that can be understood by others!! !